Discussion in 'Camping World Truck Series Paint Schemes' started by Wacky Racers, Feb 11, 2019. Brett Moffitt’s Plan B Sales Scheme for Daytona. puckhogg11, KodaTheWolf, joeykraus19 and 2 others like this. They probably could just be renumbering the truck. I know GMS owns the 24 already but they might just have BM running the 24 full time and leave the 21 for part-time or something like that. KodaTheWolf and BrendonH12 like this. The 21 will be back. I think they want to field Sam Mayer at some of the short tracks. KodaTheWolf and Tetronix like this. KodaTheWolf and UnfixingDuke24 like this. 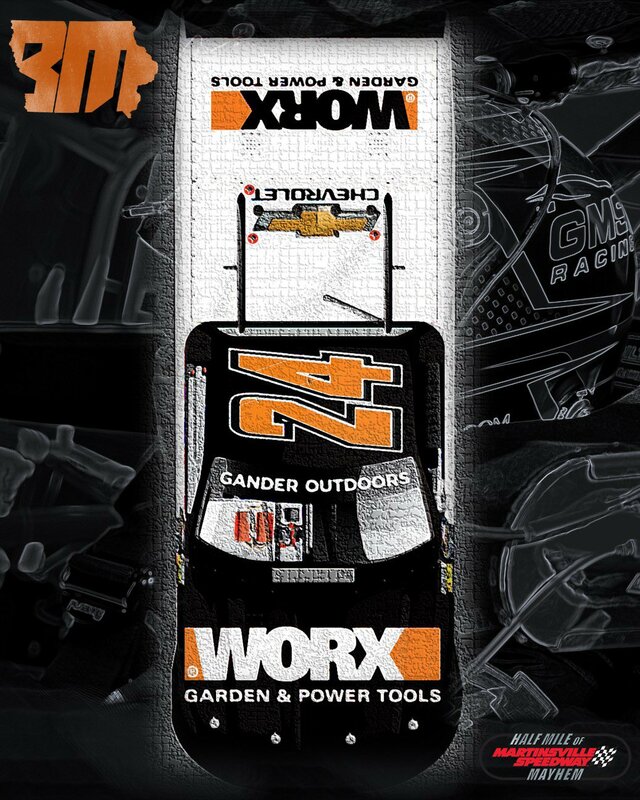 Worx Garden & Power Tools will be on the truck at Martinsville. Glad to see Worx back! Haven't seen them since Piquet was racing for TSM. Finally! A paint scheme that just worx! Shockey Rai and BrendonH12 like this. Seriously though, thanks for posting the orthos. UnfixingDuke24 and BrendonH12 like this.